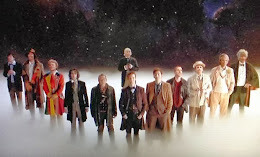 type40 - Doctor Who news and views: 50 'TIL 50TH! Today marks a mere 50 days before audiences are finally treated to the broadcast of The Day of the Doctor, the 50th anniversary special episode of Doctor Who to be shown on November 23rd. Alongside this countdown, BBC Worldwide have recently announced that the episode will be broadcast in over 75 countries. Such places include USA, Canada, Australia and various areas of Europe to name a few. But in case you thought your T.V at home was the only way you could catch the episode, over 200 cinemas around the UK are simultaneously showing a live screening in 3D. So even though the show is so closely tied with British culture, it’s no wonder that other countries will be able to experience this momentous occasion. LONG LOST EPISODES FINALLY COME HOME!